Located 12 miles south of Navasota, the WESTVIEW RANCH has much to offer its Proud Owner. One enters this ranch through a striking gated entrance from the paved road FM 362 and continues on a paved private ranch road. The paved private ranch road meanders through a pasture with impressive native pecan trees and continues to the top of the hill and the main ranch home. This custom home was built in 1996 and sits on the highest hill on the ranch with beautiful panoramic views. The home has 3,596. sq. feet of living area with 2,120. sq. ft. of wrap-around porches. The home features a large dining area, living area and master bedroom with an exercise area. The living and dining area have a double fireplace and cathedral ceiling. The home also features a gourmet kitchen with granite counter tops and commercial appliances for a serious gourmet chef. The exterior of the home is cedar siding with Austin Stone rock and a green metal roof. The interior of the home offers an extensive, custom designed intercom system and surround sound system. 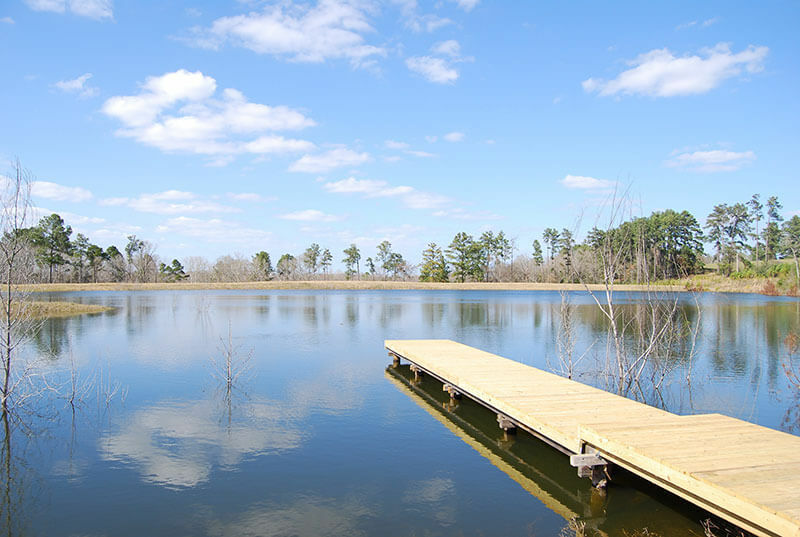 With a desirable location on the hill, the home overlooks a 1 acre pond in the front and a 3 acre lake in the back of the property. There is a large carport adjacent to the home with a detached 3 car garage 24’ X 36’ with an upstairs storage area. Additional storage is also available in a 20’ X 32’ detached 3 bay carriage house. The ranch has the following barns and outbuildings: 1.) A large 36’ X 72’ metal horse barn with 7 stalls on a concrete slab, with an attached 14’ X 72’ covered area. 2.) A large 55’ X 80’ metal equipment barn, with a 20’ X 37’ enclosed shop area on a concrete slab. 3.) An Office Building or Guest House or Ranch Managers home 28’ X 40’ with 2 bedrooms, 2 baths and a kitchen. An excellent set of cattle working pens are available near the horse barn. This ranch property is set up for an excellent weekend ranch or as an operating cattle or horse operation. Beason Creek is the natural boundary on the North West portion of the ranch. All of the comforts afforded a ranch owner are here to be enjoyed, approximately 12 miles from the city limits of Navasota or a relaxing 1 hour drive from Houston.